1)First go through Paypal Developer web site and create an application. For any query or suggestion please post your feedback. Your welcome and thanks Ravi. Yes sure i will post and thank you..
is it against google policy to accept money via pay pal? No.. is it mention any where? If it is against goole policy then why paypal have libray for android? As per my knowladge paypal is accepted by google. I want to implement the payment gateway in my SAPUI5 application..
Hi Manish ...Thanks for ur awesome tutorials on uncommon & nice topics... This tutorial was great too. Please let me know if you have any prior experience with paypal...Do they accept indian cards? And ...Only these steps you mentioned are required to start online transactions. Indian cards means? well try this demo app it will accept all type of common card like Visa, Master etc. you are using the Classic API Username instead of the application client_id. To fix, log in to developer.paypal.com, navigate to Applications > My Apps > the name of your app. Open the 'REST API CREDENTIALS ' window, and you'll see a sandbox and live client_id. 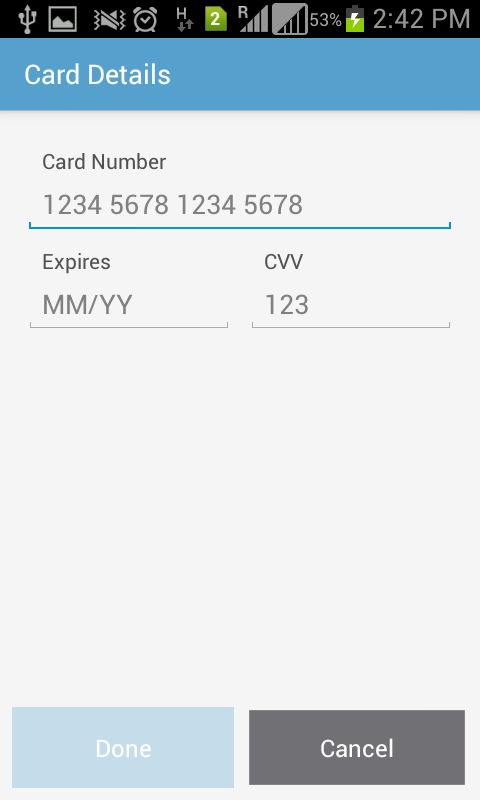 Copy the appropriate id into your app. I think this code will not work on emulator, try over the real phone. "config cannot be resolved to a variable" Here you can't created 'config' variable. payments from this device are not allowed. How can I solve this problem . are you using real device or emulator? Can you share crash report? And check your permissions in manifest file. Note: It is 2013 code so if Google have been changed their way to doing thing, please visit Google Developer Blogs. Hi Manish, I am getting "The merchant does not accept payments of this type." while paying through MasterCard credit card. Are you using sandbox mode or live? And please check the country if they accept the card payment through PayPal. For more detail visit PayPal developer blog. I am using production environment with client id of production and business account from Singapore. Legally you can't do that.Any how if you able to use xcode and developing the application but still you will not be able to upload your application on apple store. Any Tutorial For Payumoney integration?? Suggest me the proper solution or tutorial. I am really sorry but I can't share client id because of security reason. Please try to debug your setting and see why you are getting this error. i tried your code work like a charm but my question i want to store that cut balance in other paypal account what should i do?? I think for security reason you can't. 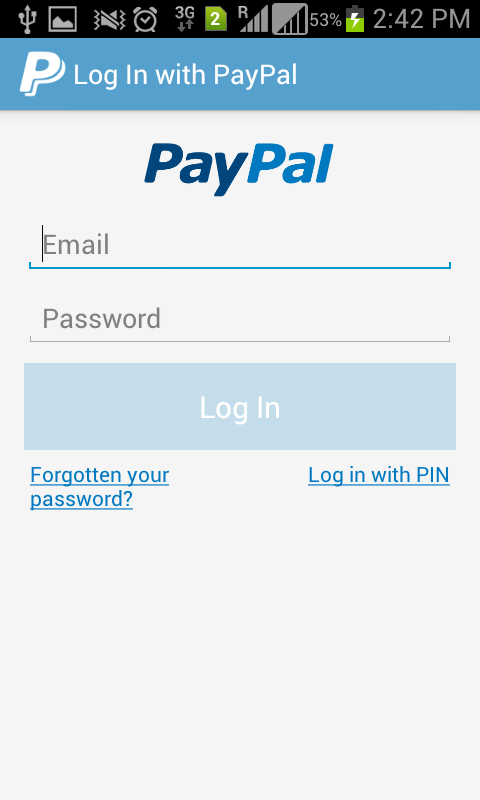 You need to make an app on Paypal account and only that account you can use for transaction. pay with card page is not opening. 1)Please check log cat what error you are getting. 2)Please check paypal documents in which country they support card payment. 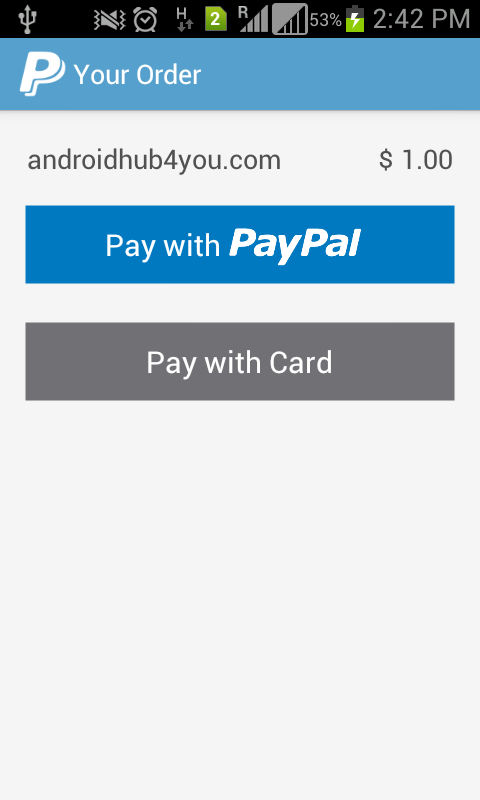 i want to implement parallel paypal payment in my android application.could you help me please.